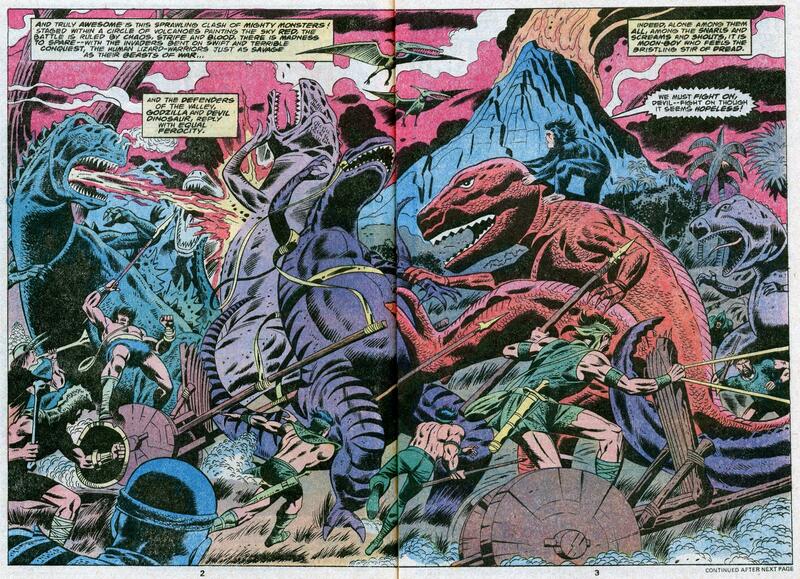 Jack Kirby’s Devil Dinosaur 8! Today, we reprint our guest post from Diversions of the Groovy Kind in April, 2012. 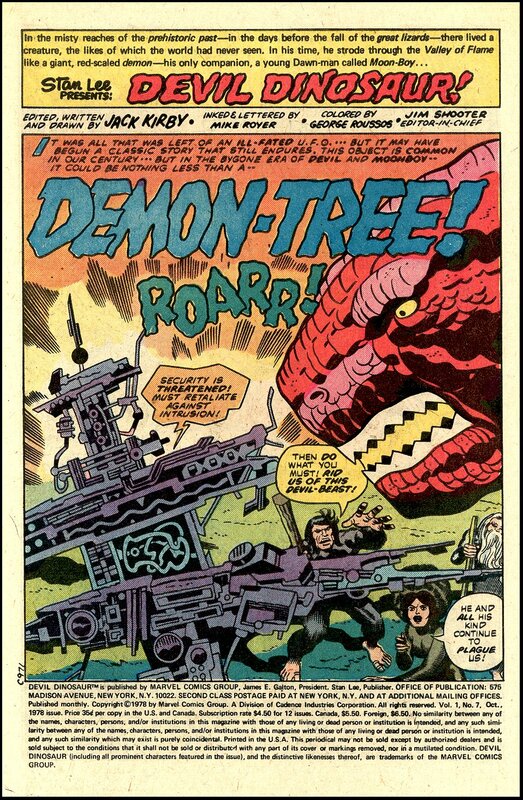 In Godzilla #22, Godzilla joins forces with Jack Kirby’s Devil Dinosaur and his pal Moon Boy. In the previous issue, Devil and Godzilla met, tussled, and became friends. 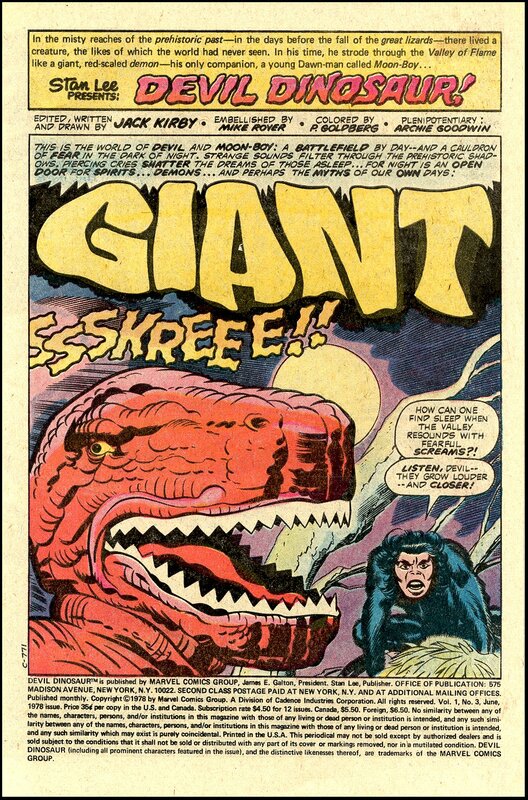 This issue, dated May 1979, hit the stands five months after the end of Devil Dinosaur’s short-lived series. 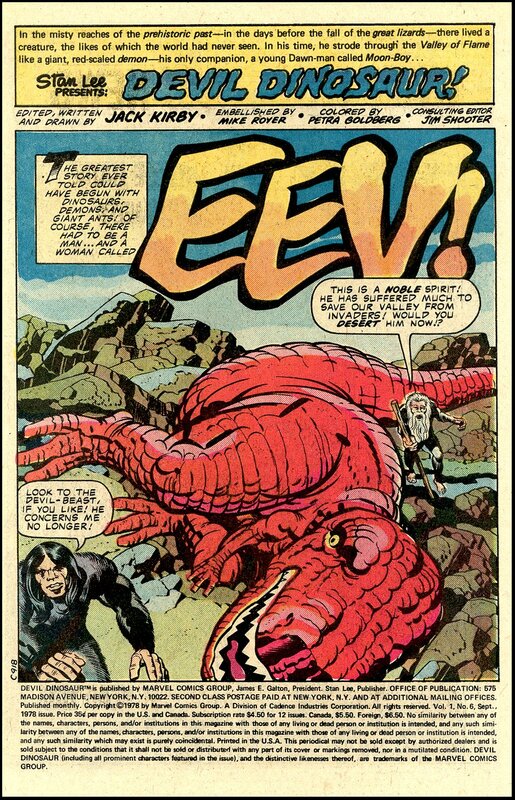 Author Doug Moench clearly needed more Devil Dinosaur – and who doesn’t? – From Godzilla #22; Marvel, 1979. You may ask, “How are Godzilla and Devil Dinosaur the same size? Isn’t Godzilla ‘up from the depths, thirty stories high’ as the cartoon theme song says?” Right you are! 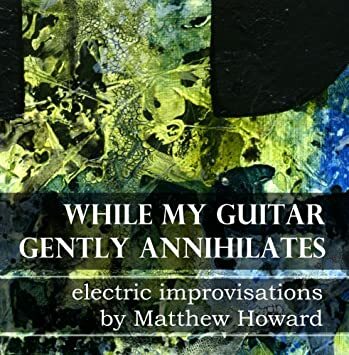 This story takes place during a plotline where the King of the Monsters got hit with a shrinker-izer to whittle him down to more manageable size. At one point, he was small enough to go toe-to-toe with a vicious sewer rat! You’ll notice the effects begin to wear off in this tale. There go the property values! Plus, the device which threw Godzilla back in time to meet Devil begins to backfire. You no doubt recognize that glowing white square… It’s Dr. Doom’s time machine! What would the Bronze Age be without that thing? 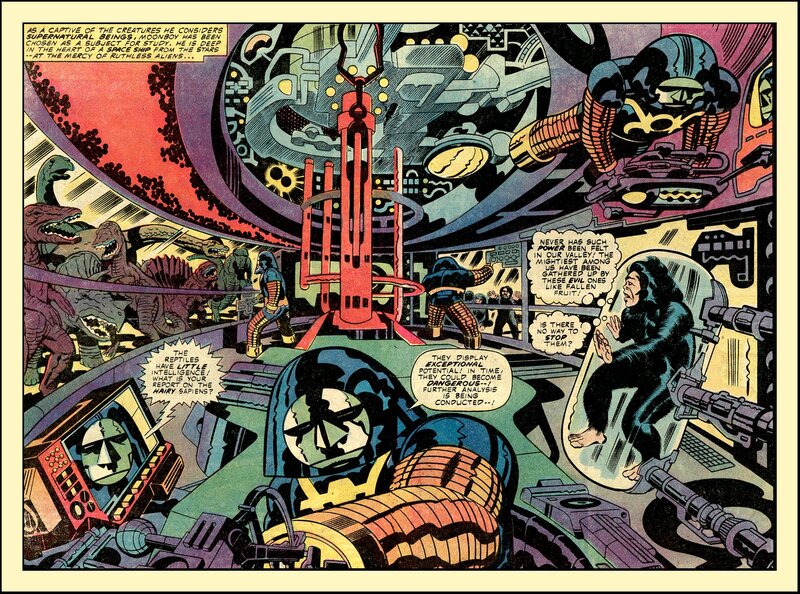 Artists Herb Trimpe and Jack Abel craft a double-splash for pages 2-3 that echoes Jack Kirby. 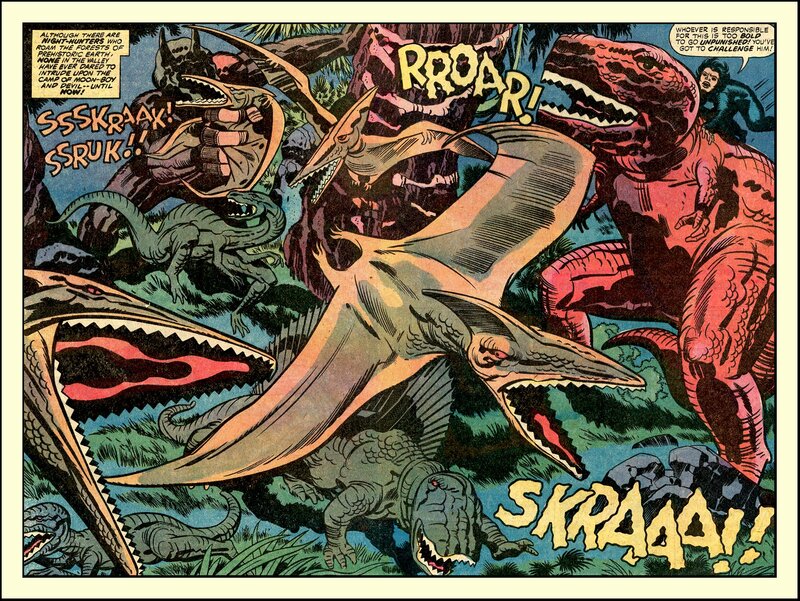 Moench also throws in some lesser-known parts of Devil’s world, like the old hag and the pits from Devil Dinosaur #9. These are the same pits that took Devil through time in his own final issue! 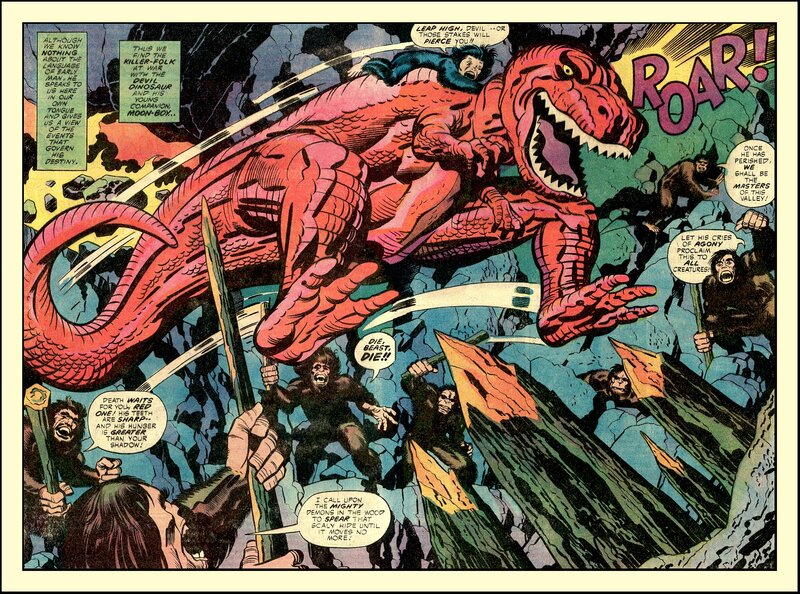 For escapist fiction, it just doesn’t get any cooler than seeing Devil Dinosaur and Godzilla cutting loose in a whirlwind of dinosaur battles. On a more analytical note, Moench contrasts the worlds of two boys. Rob Takiguchi, in 1979, has a soft spot for Godzilla. The boy always takes the monster’s side. He feels we haven’t taken the time to really understand Godzilla. But, the adults in Rob’s life constantly undermine this potential friendship. They trap Godzilla, shoot him, send him back in time – always some sinister grown-up plan! Rob lives in a state of sadness and rebellion as he struggles to build a rapport with Godzilla. The adults treat Rob like a schmuck, perpetually disregarding his feelings. Moon Boy has everything Takiguchi could wish for. Although he and Devil often battle nasty adults, Moon Boy’s bond with his reptilian ally is firmly established. The adults may be adversaries, but they have absolutely no authority over him – big difference! Moon Boy knows complete freedom to make his own decisions. Plus, Devil Dinosaur embodies all the good that Rob seeks in Godzilla: strength, loyalty, protection, power, and friendship. Yes, if we had written our own ending to this tale, it would have been a happy one. Rob would go back in time with Godzilla. Godzilla would stay Devil-sized. The two boys and their reptiles would become fast friends, roaming the Late Cretaceous as they pleased. 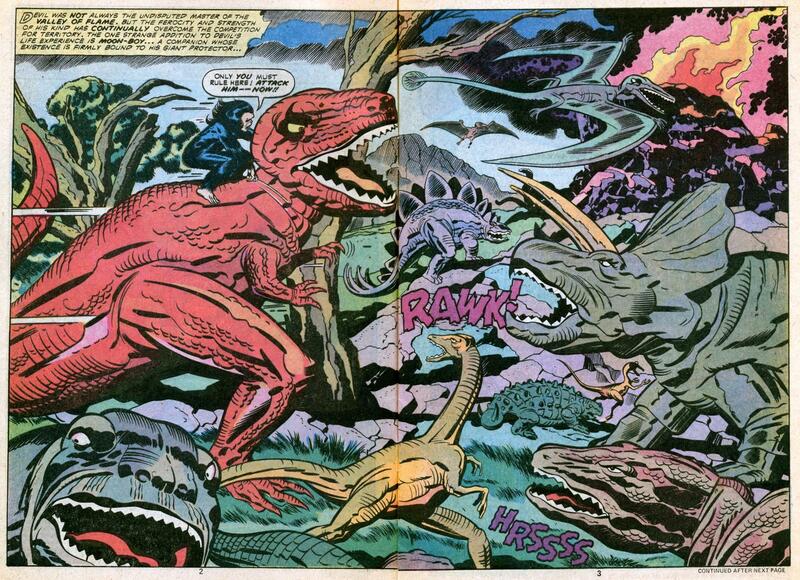 And, everything would be drenched in rampaging dinosaurs and Kirby Krackle. A boy can dream, can’t he? 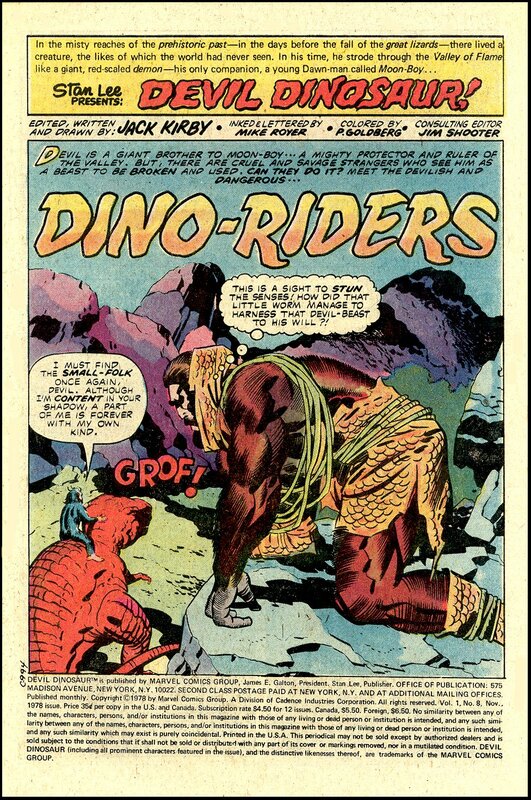 Jack Kirby’s Devil Dinosaur 7! 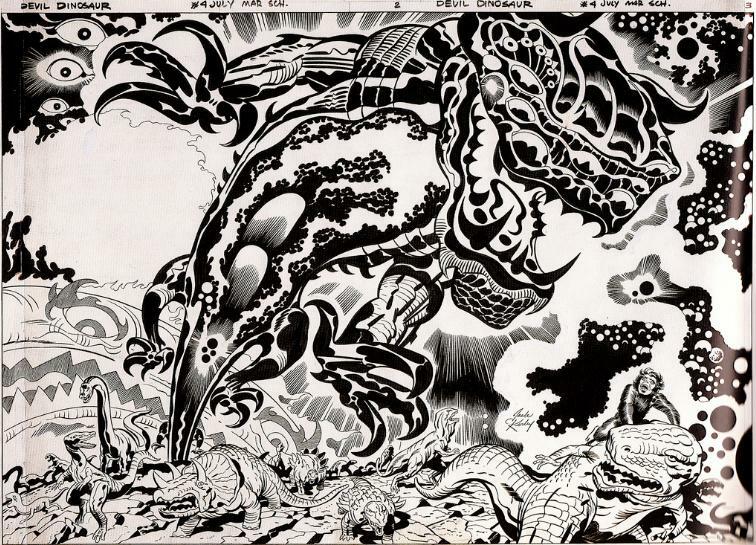 Jack Kirby’s Devil Dinosaur 6! 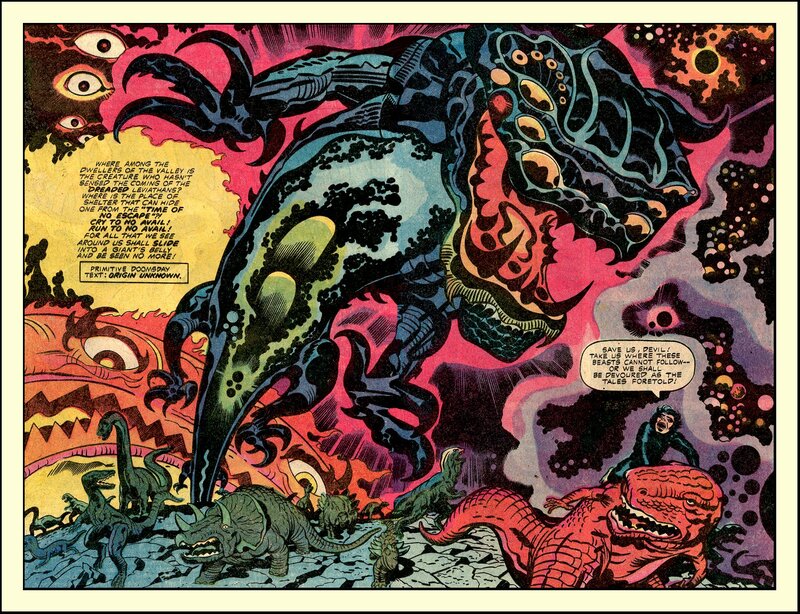 Jack Kirby’s Devil Dinosaur 5! 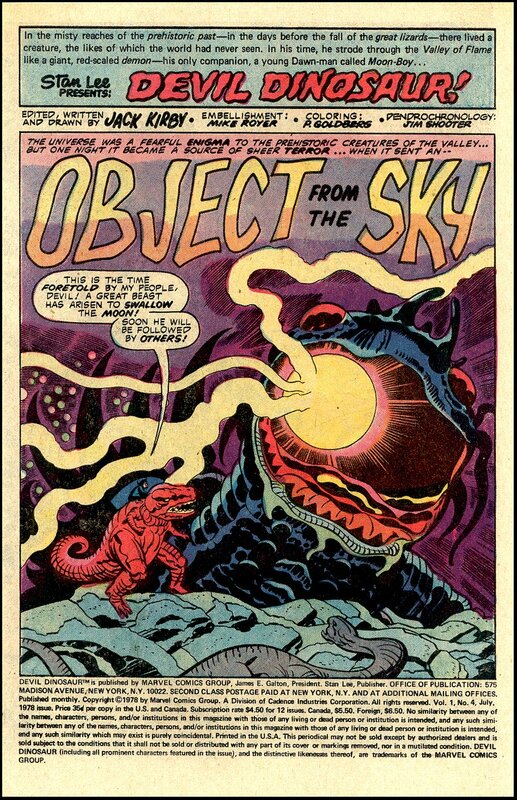 Jack Kirby’s Devil Dinosaur 4! Bonus: Here is an image of the original black and white artwork for this issue’s double splash. Don’t you wish it was hanging on your wall?! 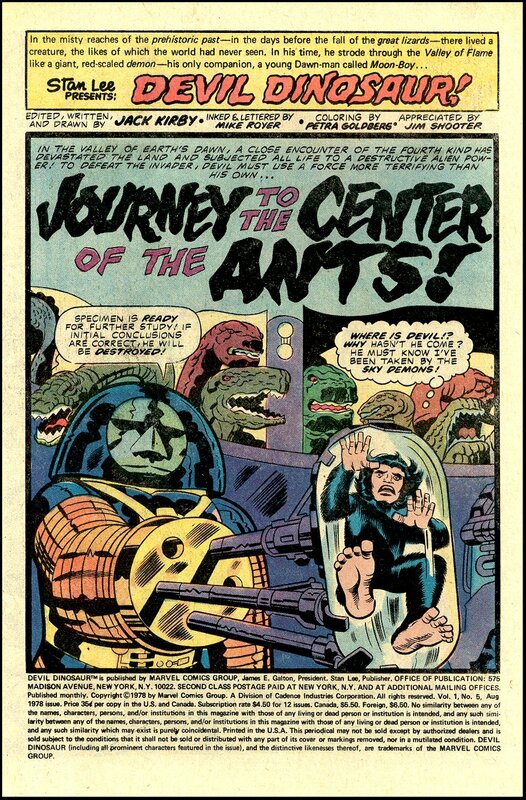 Our Godzilla Week Crossover continues today in a guest post on Diversions of the Groovy Kind. Along with our scintillating review, you will see the complete Godzilla #22 where Devil Dinosaur teams ups with our favorite King of the Monsters! Yes! Not enough Godzilla Grooviness for you? 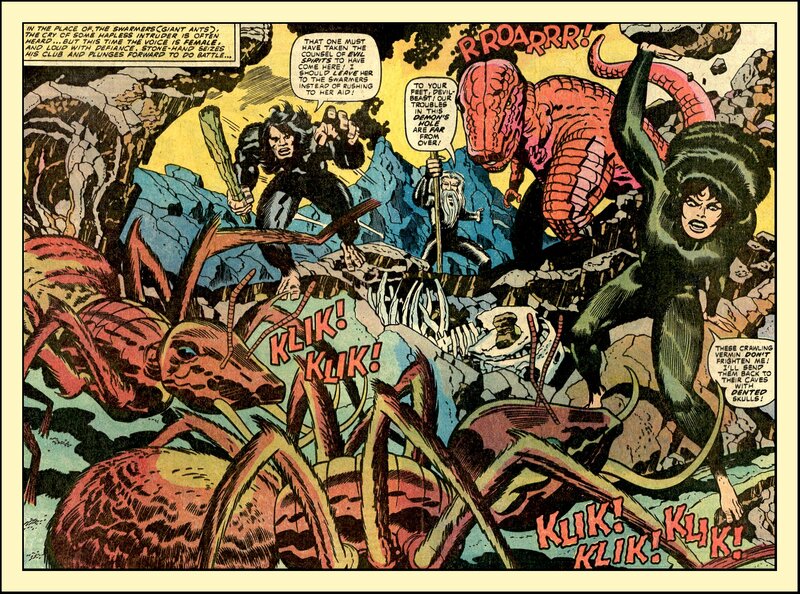 Visit Longbox Graveyard for a review of Marvel’s Godzilla series. Now, let’s rock Devil Dinosaur #2!